Last year, I read a really great book called Share Your Work by Austin Kleon. Austin encouraged his readers to share their unperfected, unfinished, half-baked work and ideas online. 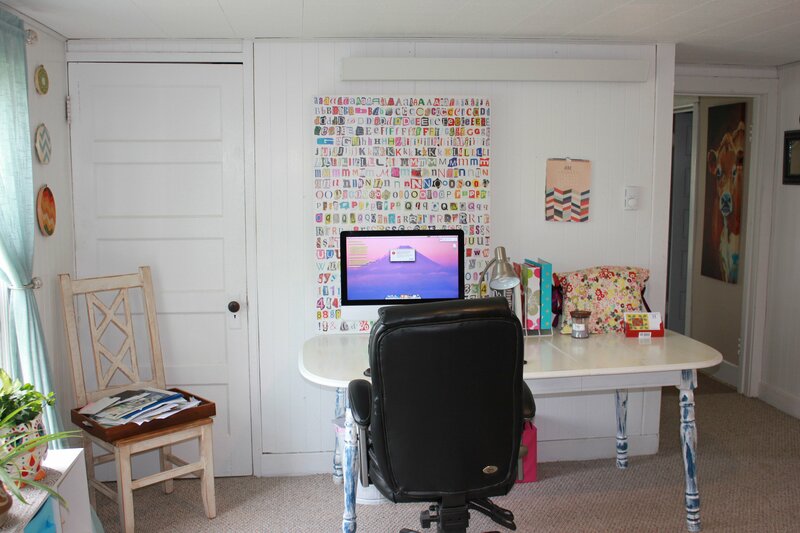 My cozy writing space, the west side of the room holds my desk and the east side of this room is Joslyn’s nursery. The south side has a large, drafty window that fills the room with natural light. It also lets me keep an eye on all the traffic going by, and tractors coming in and out of the yard. He also encouraged his readers to talk and think about their creative process openly, rather than staying holed up alone in our studies, toiling away secretly. Lately, I’ve been working on a second book. It’s not exactly a sequel to Wild Man, but it contains more stories from Luther and Buddy Angell. I’m not sure when it will be finished, but I’m hoping for Thanksgiving of this year. 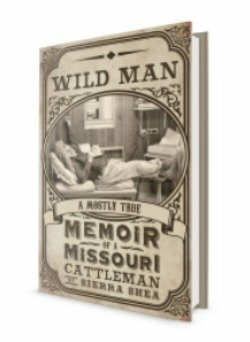 I love these stories because they capture a “primary” (aka: first-hand) history of the livestock industry in Central Missouri. These are not fact-filled stories from a Wikipedia entry, they are personal stories that entertain and educate. Here’s an excerpt of a half-baked, unfinished section that I was working on yesterday. This comes from a chapter of the book that described my Great Uncle Buddy’s memories of the Kansas City Stockyards. He visited them with his father as a young boy. L.W. Angell, Junior purchased cattle as a order buyer and for himself in the stockyards from 1948 until 1972. I’ve read histories of the Stockyards here and here and here, but learning from a personal perspective is always more interesting to me. I hope that it will be for readers, too! Buddy pointed to the Kansas River on the edge of his big picture and edge of the stockyards. The Kansas River served as the border to one side of the stockyards. They killed, slaughtered, packaged and distributed the meat to grocery stores. The economic impact of the stockyards was wider than all the 1,000 people they employed. In addition, hotels, shops and restaurants lined the streets across from the exchange building to support all the people who were constantly coming and going on business surrounding the stockyards. Most people described it as a city within a city. You are the one to write it!